We have recently advised on a land acquisition and development project which will enable the first neurological rehabilitation facility of its kind to be built. 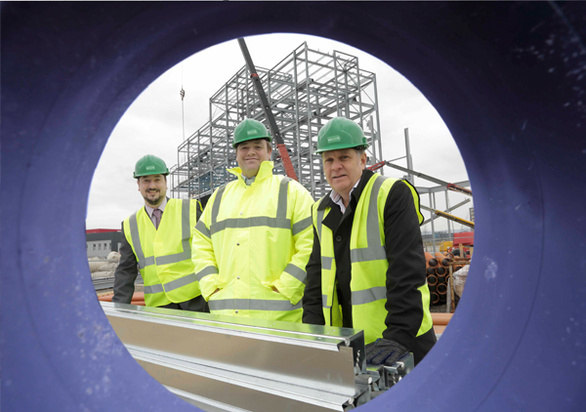 Building work is now underway on Keiro Limited’s £8.5 million ‘The Gateway’ at Middlehaven in Middlesbrough. Once completed, the new building will provide a new concept for flexible support to enable individuals with long term neurological conditions to regain and retain their independence. When it opens later this year, the development will include a state of the art rehabilitation centre, a community well-being hub with an integrated health club as well as a range of transitional housing from partner Erimus Housing, with access to long-term housing in the wider area. Keiro is based at Whickham, Gateshead and is a leading provider of rehabilitation, specialist care and support for people with neurological conditions. Its new centre in Middlesbrough will provide a new way for people to access services and support, tailored to their unique needs. Prior to building work getting underway, Keiro appointed us to acquire the land from Middlesbrough Council and the Homes and Communities Agency. Adrian Hicks, Associate Solicitor within Muckle LLP’s Real Estate Group, explained: “We acted on behalf of Keiro in acquiring the land, and then led on what was quite a complex transaction, which included the onward transfer of part of the site to Erimus, a specialist housing provider, which is partnering with Keiro on the project. “We then helped to negotiate and prepare the construction documentation for Keiro in relation to the building of the main rehabilitation scheme and worked alongside the legal team acting on behalf of the housing provider to ensure the whole development went to plan. Boda Gallon from Keiro said: “Adrian and the team at Muckle LLP provided timely advice, which was vital in enabling us to get this project up and running. They worked very well with us and the other partners involved in the project, to ensure everything went through as quickly as possible, so work could get underway on site at the end of last year. They are now helping to ensure that The Gateway completes later this year. To find out more about how we can help you and your business please contact our team on 0191 211 7777 or email [email protected].